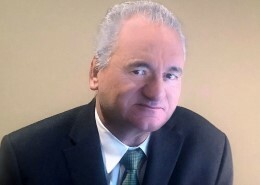 Richard Ferrari has enjoyed an international career in business development, sales and senior management with technology firms for more than thirty years. His experience is broad, from working with some of the largest global financial software and services firms, to working with startup and early stage firms primarily in the capital markets and fintech arena. Rick spent the first ten years of his career working in merchant banking and financial technology in the City of London, developing business in the UK, eastern Europe and southern Africa before moving on a fulltime basis to Johannesburg in 1990 to establish a regional presence for Misys (now Finestra), making it the predominate technology firm serving the financial community in the region. After four years based in Johannesburg Rick transitioned to New York with Sungard (now FIS) where he had executive responsibility for enterprise sales, business development and global account management for a range of trading and risk management systems to the capital markets community in the USA, Canada and LATAM. Rick then went on to hold senior management roles around sales and business development with other major technology vendors such as Calypso Technology and FRSGlobal (now Wolters Kluwer). Since 2010 Rick has worked with a number of early stage and startup firms to apply his experience and industry expertise to help them prepare for growth by helping them implement repeatable processes to drive business development and accelerate sales. By helping firms to articulate their value proposition, identify and qualify their target market, institute lead generation campaigns and developing and managing sales pipelines, entrepreneurs are able to bridge the gap between doing what they do best – creating leading edge products and services – and turning ideas into revenue through repeatable processes. Rick holds a degree in Business and Marketing from Oxford Brookes University in the UK and is based in New York. Apart from being a member of the 360accel team Rick also provides advisory services to early stage technology firms through Orchard Lane where he is managing partner.